In case you haven’t heard, Saturday is Valentine’s Day, and if you’re looking for a last-minute Valentine’s gift, look no further. You bring the chocolate, and we’ll provide the wine — and the room, of course. We’re offering a sweetheart of a deal to romance your lover this weekend: As part of our “Share the Love” package, if you book a room directly through the Durango Quality Inn (call the hotel at 970-259-5373) and mention the code LUV15 through the month of February, you’ll receive a free bottle of wine from Durango’s own Four Leaves Winery. Four Leaves Winery is a boutique winery located in downtown Durango. The winery makes several varietals of both reds and whites as well as sweet fruit wines. Their selections include malbec, sangiovese and pinot noir; chardonnay, dry reisling and pinot grigio; and cranberry shiraz, blackberry merlot and grapefruit blush, to name a few. But you don’t have to stay with us at the Durango Quality Inn this weekend, if that’s a little too last-minute for you. You can give your Valentine the gift and visit Durango later because the deal is good from Feb. 10 through the end of the month. The package includes one bottle of wine per stay, not per night (although that would make for some interesting mornings), and choices of reds and whites are available. Rooms must be booked directly with the hotel over the phone at 970-259-5373; the wine package isn’t available for online bookings. 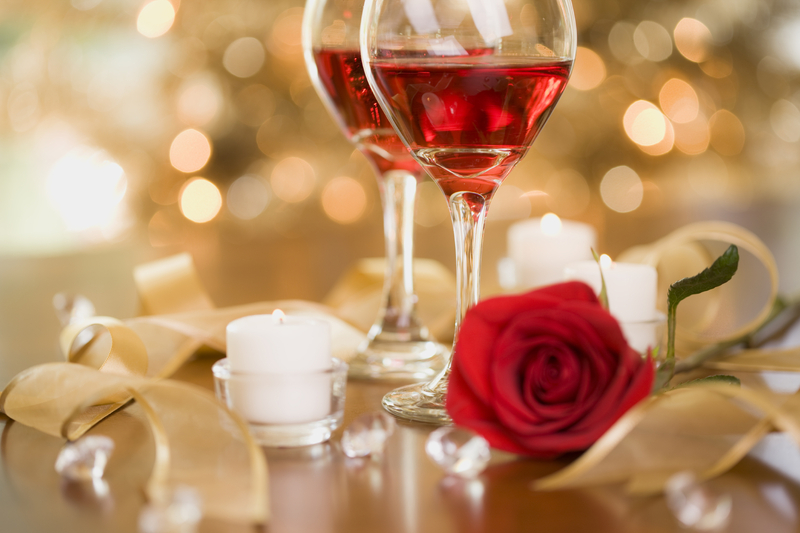 Give us a call and book your Valentine’s Day wine package today!